Daehoon joined Macquarie upon completing his PhD in Economics at the University of Sydney. His main research interest lies in productivity and efficiency, especially of financial institutions, applied econometrics, cost of living, and wealth and consumption. He has published both theoretical and applied research outputs in these areas in various academic journals including the Journal of Productivity Analysis and Economic Record. Dr Nahm teaches both at the undergraduate and postgraduate levels. He has successfully supervised several PhD theses, and is currently supervising three full-time PhD candidates. Outside of teaching, he has also been acting as a referee for various academic journals, including Journal of Productivity Analysis, Economic Record, Journal of the Asia Pacific Economy and the Asian Pacific Economic Literature Journal. 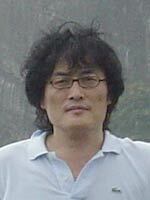 He has held visiting positions at the University of British Columbia, Osaka University, and Korea University. Dobbie, Michael, and Daehoon Nahm, “The Determinants of Individual Union Membership in Australia: A Structural Approach Using Panel Data”, Economic Papers, forthcoming. Dobbie, Michael, Daehoon Nahm, and Craig MacMillan, “The Impact of Trade Unions on Work Related Training in Australia”, Australian Journal of Labour Economics, forthcoming. Nahm, Daehoon, Michael Dobbie, and Craig MacMillan, 2017, “Union Wage Effects in Australia: An Endogenous Switching Approach”, Applied Economics 49 (39), 3927–3942. Cui, Yuling, Daehoon Nahm, and Massimiliano Tani, 2017, "Employment Choice and Ownership Structure in Transitional China", Singapore Economic Review 62 (2), 325–344. Nahm, Daehoon, and Joseph Macri, 2016, "The Effects of Monetary Policy on Consumption, Housing Wealth and House Prices: An Australian Perspective", Journal of Economic Research, 21, 175-204. These procedures are also accessible in the Shazam program itself (Version 11.1.2 or later). From "Resource View", click "All Resources" and "Procedure Library". Mohamed Alisabri Haniffa - "The impact of terrorism on a capital market: A case study of Sri Lanka" (2012). Ha Thu Vu - "Efficiency and productivity analysis of the banking industry in Vietnam" (2010). Mohamed Fazeel Mohamed Jaleel - "The stock price behaviour of an emerging stock market"
Zulfiqar Bashir - "The effects of economic reforms on agriculture and agricultural trade in India and Pakistan"
Last Updated: 2017-12-22 16:52:44 by Laura Billington.